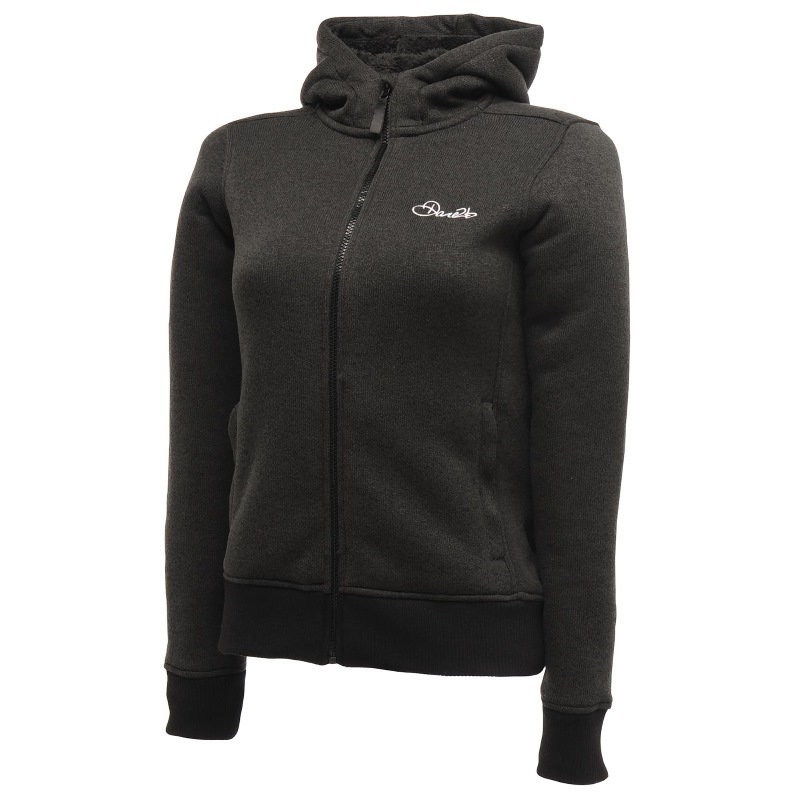 The Women's Sensation Fleece Jacket, from Dare 2b, is an incredibly stylish and versatile hooded jacket that has a smart marl knit outer and a gorgeous snuggly furry high pile inner that is so soft you just won't want to take it off! This jacket has a grown on hood with high pile furry inner, ribbed cuffs and hem and two lower zipped pockets making this a fantastic sweater to throw on when it starts to get cold outside and that can be layered up to offer extra warmth and protection on the slopes this winter! Note from the buyer This is an ultra cosy and casual top and it is worth buying a size up if you plan to put layers underneath in order to extend it's versatility!